Welcome to ICS of Colorado, a private investigation company. The success of many cases depend on how you decide to respond. It has proven critical to hire a private investigator quickly. You can receive a no-cost, confidential consultation 24 hours a day with one of our on-call licensed private investigators. We can be reached at 800.828.9198 or contacted through our online free consultation system. Either way, we stand ready to serve you 24 hours a day, 7 days a week, including all holidays. ICS of Colorado is the premier private investigation agency in Colorado, conducting professional and discreet investigations across the state. No matter what your case may entail, whether it be catching a cheating spouse, finding a birthparent or long lost friend, collecting evidence for child custody, support, or visitation hearings, or conducting a background check, ICS of Colorado has the expertise to handle your investigation. ICS strictly adheres to all federal, state, and local laws, so rest assured that any ICS private investigator assigned to your case will be an authorized subcontractor who is fully qualified and meets or exceeds all industry standards. Feel confident, that any insurance investigation performed by ICS will be handled with care and with attention to detail. We are experienced professionals in the investigative field who have the talent, resources and expertise to get all the required evidence needed to complete your insurance investigation. Call us today for a free consultation. Take out the questioning and doubt by backing up your suspicions with hard evidence. If someone is committing Workman's Compensation Fraud, the investigators with ICS of Colorado will find it, document it, and deliver it in a professional manor. Learn more by contacting us for a free consultation into the matter. Since 1967, International Counterintelligence Services has been providing private investigation services for individuals and businesses in both the Private and Public sectors. Let us help your business by leveraging our expertise and resources to obtain the information you need. Call us today for a free consultation and to speak with one of our licensed private investigators. Dr. Ben Carson was the key note speaker recently while in Colorado on Oct. 27 2013. Dr. Carson attended Revive 1787 in Castle Rock CO along with his wife, Candy Carson, and other notable speakers. Dr. Carson spoke on faith, hope, country, and other topics with his articulate common sense and humble approach. While at the Revive 1787 event at the Douglas County Fairgrounds, which was sold out, The Carson's were protected by ICS of Colorado and their two Dignitary Protection Agents which are also active investigators for ICS. It is rumored in certain circles that Dr. Carson may run for President of the United States in the next presidential election. To learn more about Personal Protection, call us and find out how we can help you with your protection needs or fill out a free consultation on our website for a licensed private investigator to contact you. 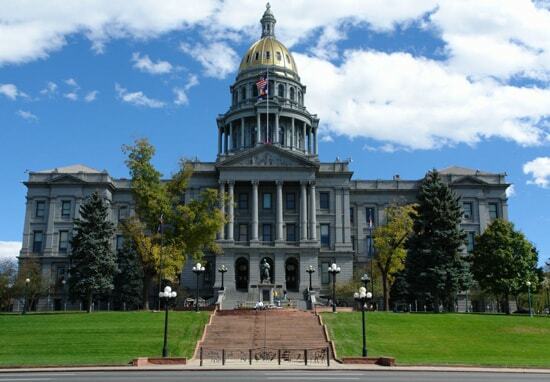 A state license is MANDATORY for Private Investigators in Colorado. It is important to verify the credentials of potential investigators. ICS of Colorado is owned and operated by Grant Linhart, and only employs qualified, legitimate licensed private detectives that adhere to the highest industry standards. Mr. Linhart is licensed as a private investigator in the States of California and Colorado, and has years of investigative experience. Many private investigators in Colorado come from military or police backgrounds. ICS of Colorado conducts adultery, infidelity, and cheating spouse investigations. If you need to catch a cheater in the act, get proof of an affair, or simply set your mind at ease, contact the professionals at ICS of Colorado. If you are worried that your partner may be cheating, look for these common signs of cheating: excessive or secretive computer use, hiding of cell phone and personal finances, working uncharacteristically late or going on business trips at the last minute, lack of, or a sudden increase in sexual appetite, being diagnosed with an STD, abnormal activity on the home phone, or claiming that a wedding ring has been lost or stolen. Colorado is an equitable distribution state, so all property obtained during the marriage will be divided equitably during a divorce, as is deemed fair by the judge. Proof of an affair can significantly alter what distribution of assets and debts a judge deems fair, and it can also be a critical piece of information in a child custody case after a divorce. Contact ICS of Colorado today to begin your free consultation by calling (303) 797-6789, or Toll Free at (800) 828-9198. If you feel your child’s best interests are not being met by your current custody arrangements, or if child support payments aren’t being made, ICS can help provide the proof you need to take your case in front of a judge. In the course of the child custody investigation, ICS might need to speak to friends, family, childcare workers and co-workers to get the clearest picture of your child’s welfare. At ICS, we will focus solely on your case, and have access to be the best tools and resources available to provide a thorough, discreet and professional investigation. We can solve your case using surveillance, skip tracing, hidden asset checks, public record searches, undercover investigations, and much more. There are several types of missing person and locate person cases, and not all case types are accepted by local police and/or FBI. ICS of Colorado is trained in locating lost friends, birth parents, estranged relatives, and we can even help with current and active missing persons cases, along with cold cases. ICS of Colorado can accept your case whether a crime has been committed or not, even if the police have already attempted to solve the case. If you have an unsolved missing person case, or need to locate a lost person in Colorado, contact ICS of Colorado today by submitting the online free consultation form, or call directly at (303) 797-6789, or Toll Free at (800) 828-9198. Background checks are one the most common and well known tools a Colorado private investigator can provide. Often, a background check is the only information a client needs. In cases where a more in-depth investigation is called for, the background check is a great starting point, providing the investigator and client with valuable leads to pursue. If you need a Colorado background check, or if you have a case involving one, ICS is ready to work for you to provide the discreet and confidential service you need in a delicate and professional manner. ICS has been helping people in Colorado just like you get results since 1967. Channel 9 News in Denver Colorado interviewed Private Investigator Grant Linhart, President of ICS Colorado, for a feature story they were doing regarding the increase of infidelity Investigations around Valentine’s Day. ICS of Colorado has recently created a Google Plus account and can now be found in Google Locally via Google Maps, Google Local and Google Pages. During the month of November and December ICS of Colorado participated in helping Families of Homicide Victims and Missing Persons (FOHVAMP) by providing 80 plus person locate investigations for the families in need. On July 30th a female subject who is the estranged girlfriend of an ICS client tried to leave the country with the clients minor child. A recent Kidnapping investigation was successfully solved cross-jurisdictionally after the hard work from dedicated ICS Investigators followed the case from Colorado to California. ICS of Colorado’s Owner and Operator Grant Linhart recently joined the National Council of Investigation and Security Services (NCISS). ICS of Colorado is among the first agencies in the state to receive the new Colorado Voluntary Private Investigator's License. License No. CO PI-528. ICS is pleased to announce that ICS of Colorado has been formed and is operated by Grant Linhart. Welcome to the ICS licensee program. ICS was recently contacted by Jeremy Bloom's Wish of a Lifetime organization on behalf of a mother with a wish to know what has happened to her lost son.